We’ve been having so much fun over here decorating for the holidays, and I can hardly believe how quickly Christmas is approaching! 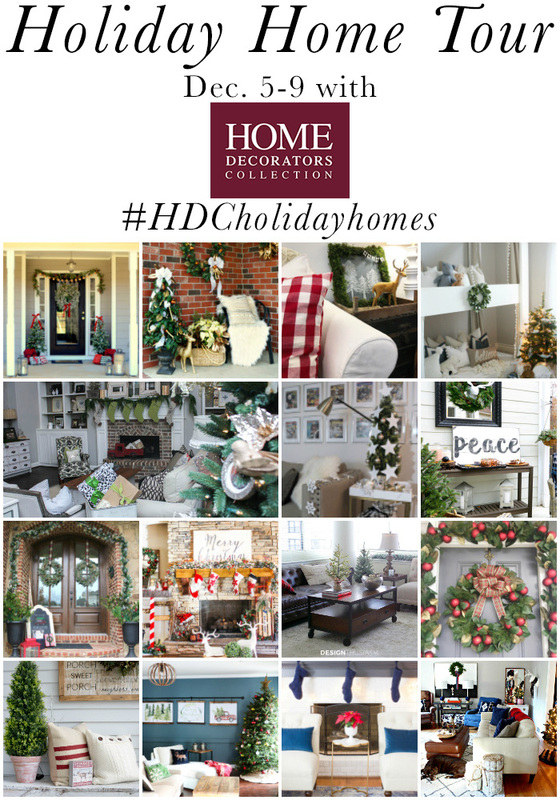 I’m thrilled to be teaming up with Home Decorators Collection® again this year for the #HDCholidayhomes blog tour, along with several other blog friends. 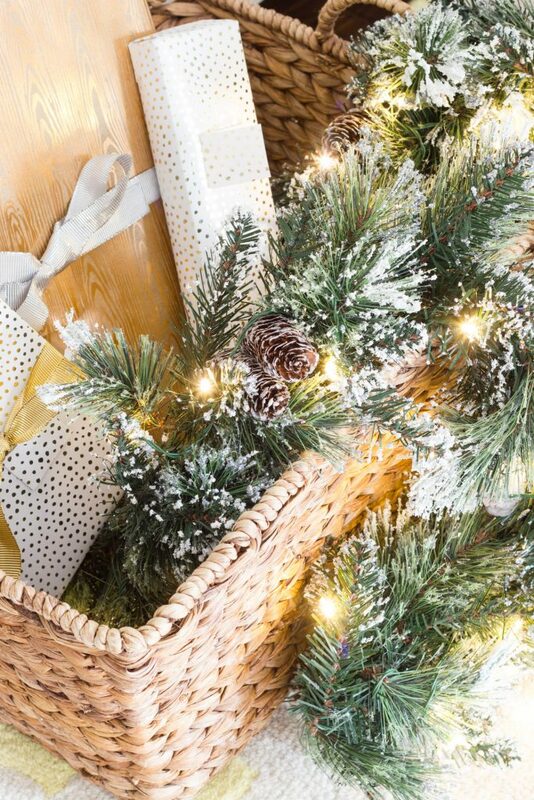 I’ll be sharing part 1 of our holiday home tour today, including a few goodies I chose from Home Decorators Collection®, plus at the end of this post you will have a chance to win one of two $250 gift cards! (P.S. You can check out last year’s tour here.) Be sure to check back later this week too for the rest of my home tour! I chose several items from Home Decorators Collection®. 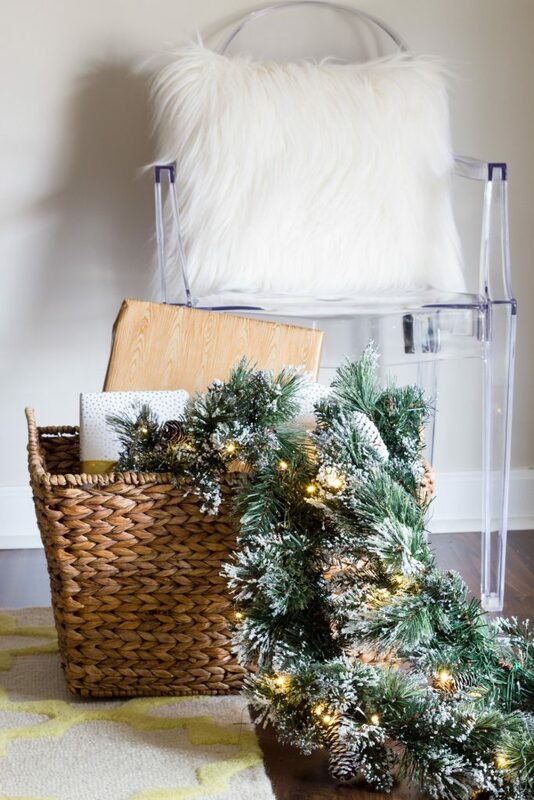 I opted for a beautiful glittery garland, a gorgeous blue ornament wreath, some geometric string lights, and reindeer stocking holders for my kiddos’ stockings. 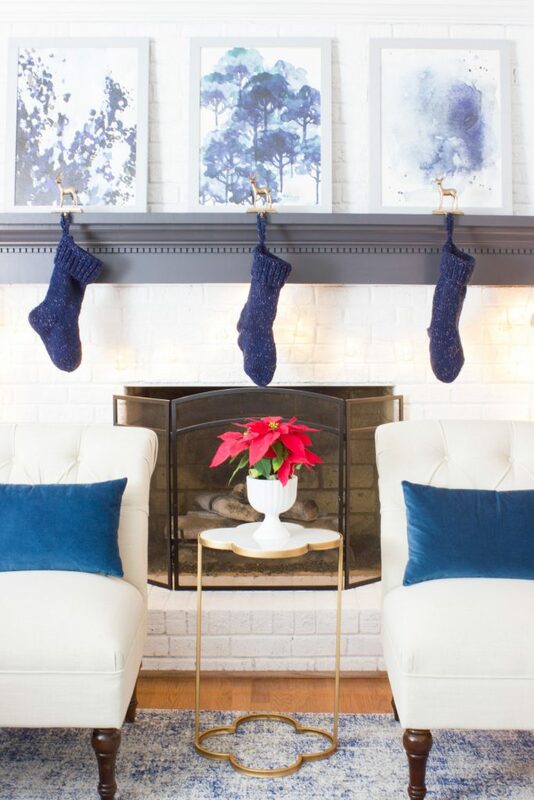 I recently gave our fireplace a makeover, as well as our entire family room, so I was excited to decorate for the holidays in that room. I chose these Martha Stewart Living Etched Deer Stocking Hanger and Martha Stewart Living Lighted Open Metalwork Garland for the mantel. I had the hardest time getting the metalwork garland to show up in pictures, but they are modern, geometric string lights and beautiful in person. Here’s a closeup. I think my favorite item of all is this Martha Stewart Living Blue Ombre Ornament Wreath. 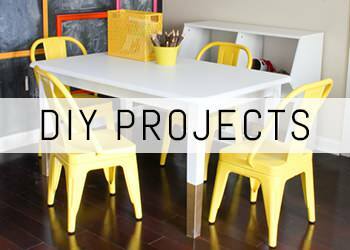 It inspired the rest of the room’s decor which I’ll show you soon. We went colorful! The gumball machine pictured above was a hand-me-down from my grandmother and I love it. You can find them at thrift stores and flea markets sometimes, and I opted to display some pretty ball ornaments inside it. 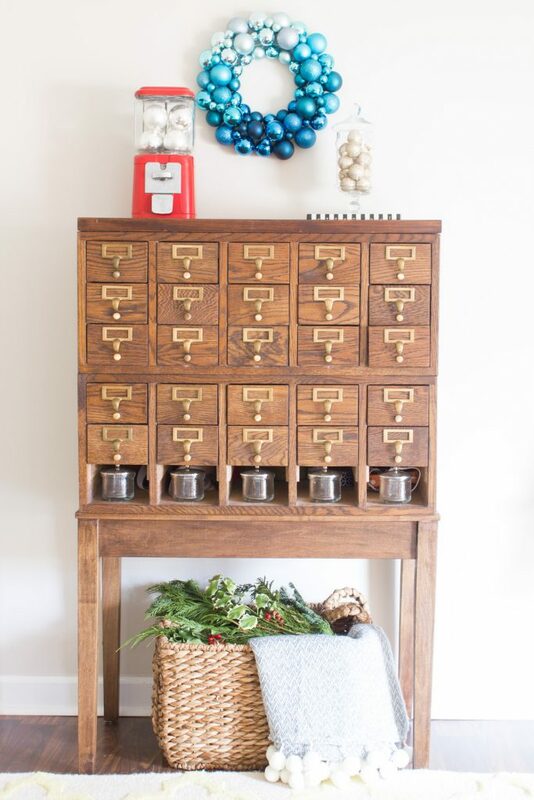 The card catalog was another piece my grandparents gave me, and they actually scored it for free! You can read that whole story here. So pretty! I love what you picked. Somehow I missed that wreath! 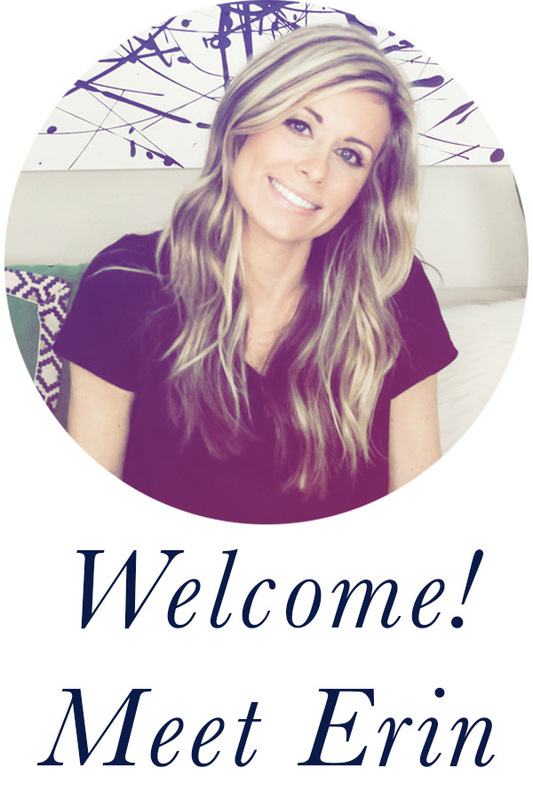 Erin, everything looks so beautiful in your home! I got the garland, as well, and I love the way you used it in the basket. Great idea!! Cool chair with the faux fur pillow on it, too! I love it all! I love that Garland the most, I have two! It’s my favorite!!! Looks great! Love all the blue! So tempted by that Aqua ornament wreath, but everything looks so fabulous with your blues it’s hard say what I like best. Great tour! It’s beautiful, Erin! 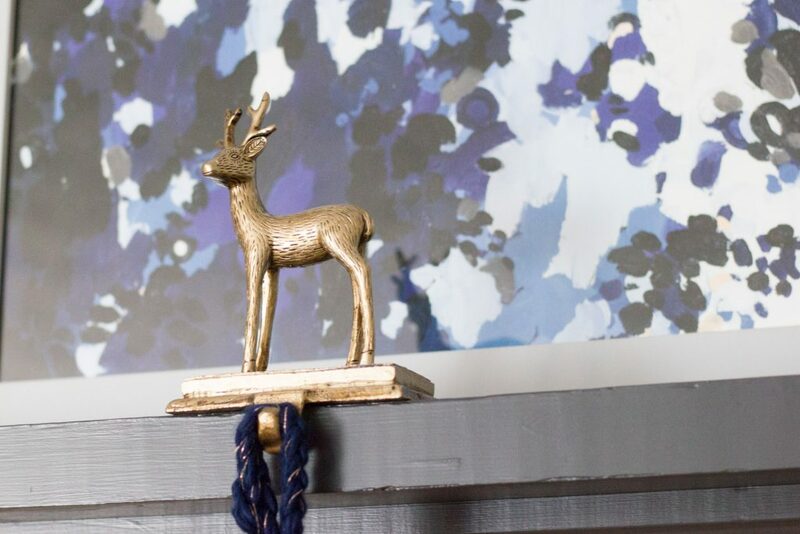 Love that metal garland! Such fun pops of blue Erin! Loved the stocking holders so much. Erin, everything is gorgeous in your home! 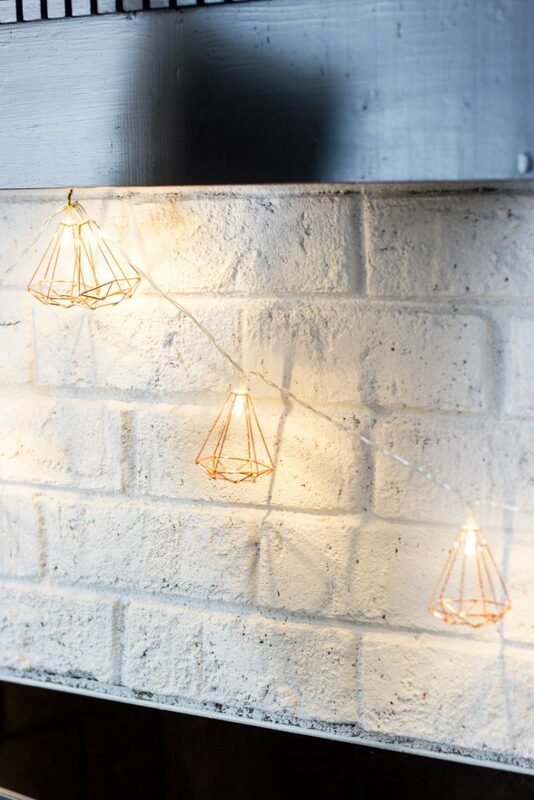 obsessed over that string lights. You did an amazing job and I’m loving all the blue. Everything looks great! 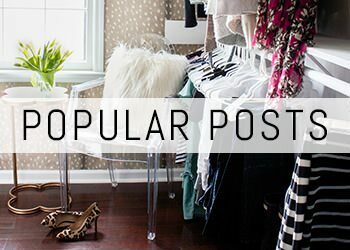 There’s so much great stuff in here….but I think those deer stocking hangers are my very favorite–love!